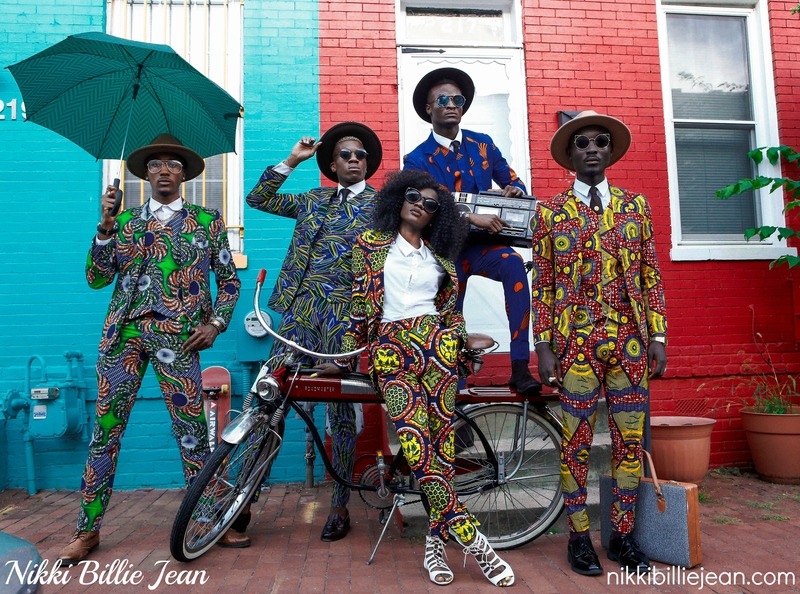 Ladies and gentlemen, I present to you “Les Sapeurs” The Nikki Billie Jean Ready-To-Wear 2016 Collection Campaign. 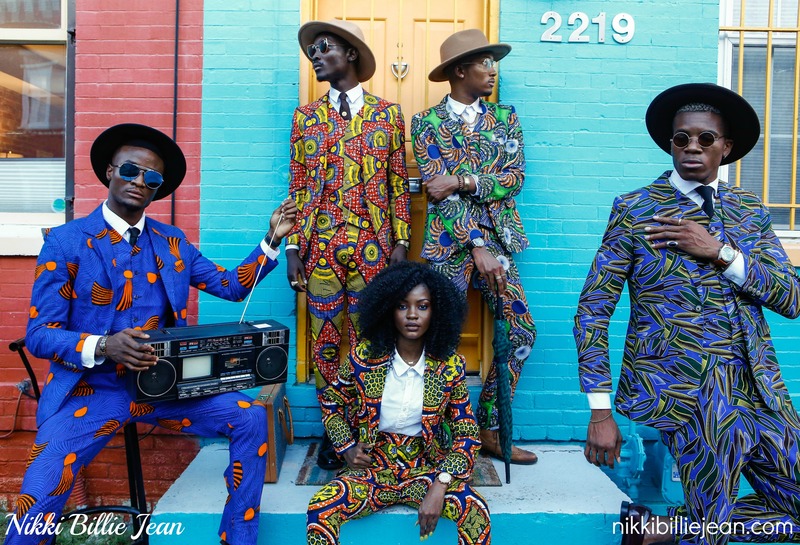 The “Les Sapeurs” Nikki Billie Jean Ready-To-Wear 2016 Collection features ankara print three piece suits with eye-catching colors and polished tailoring. 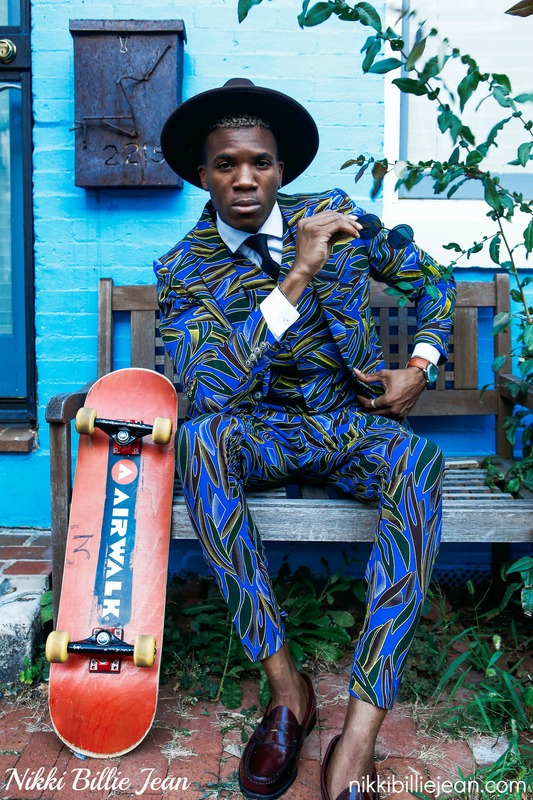 The collection includes superb quality blazers, waistcoats and pants. 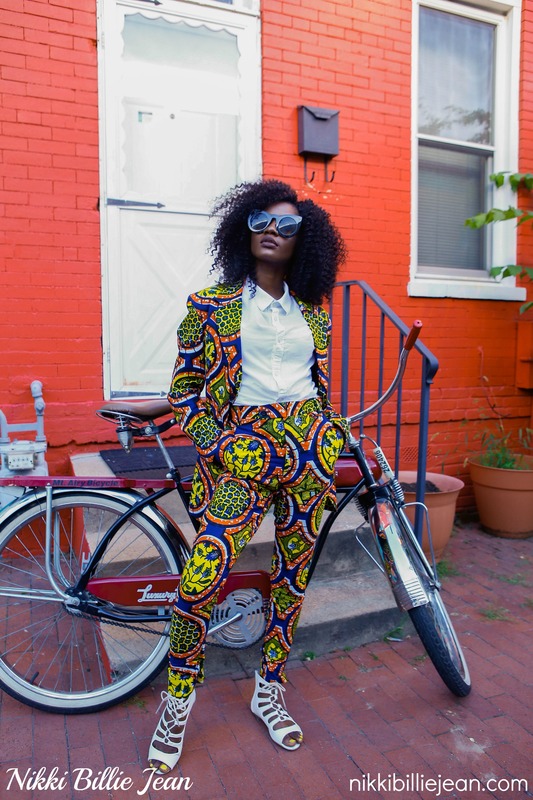 The suits are catered to a masculine silhouette but can accommodate the sartorial needs of women interested in dapper garb. 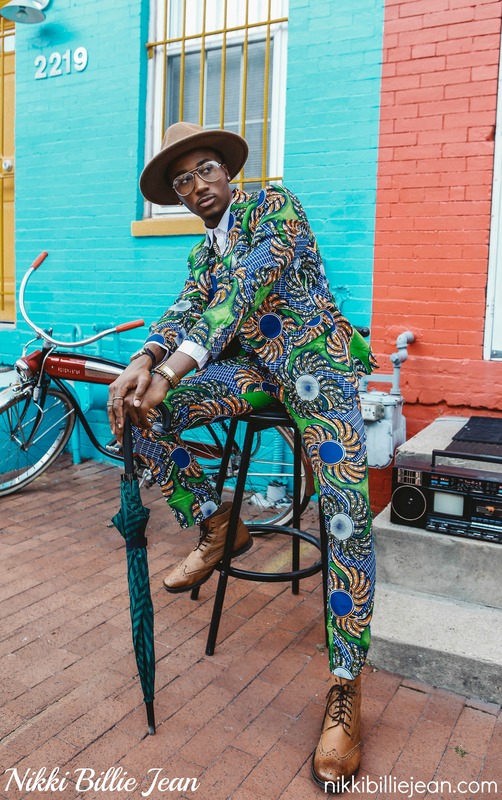 The multicolored row houses as the background for the campaign, was inspired by the rural colorful houses and shops commonly seen in photos of the sapeurs. 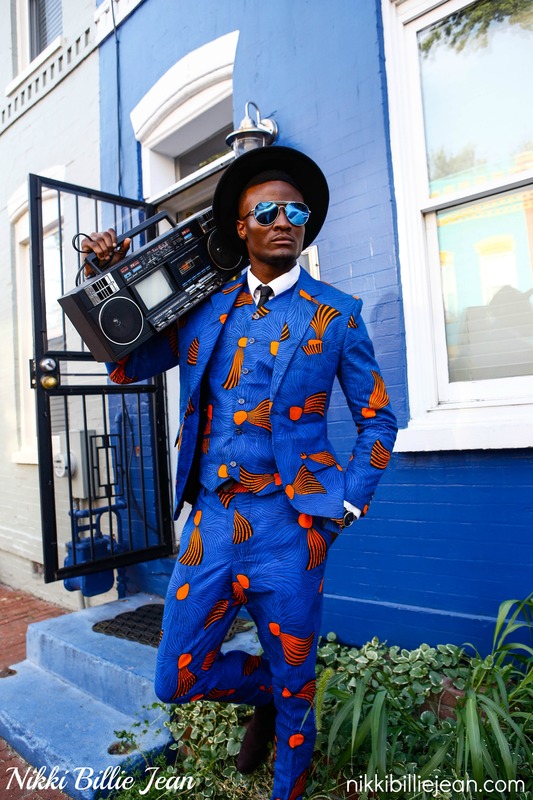 The bicycle, skateboard, briefcase, umbrella and boombox portrays the repertoire of gestures and personalities that makes each sapeur unique. 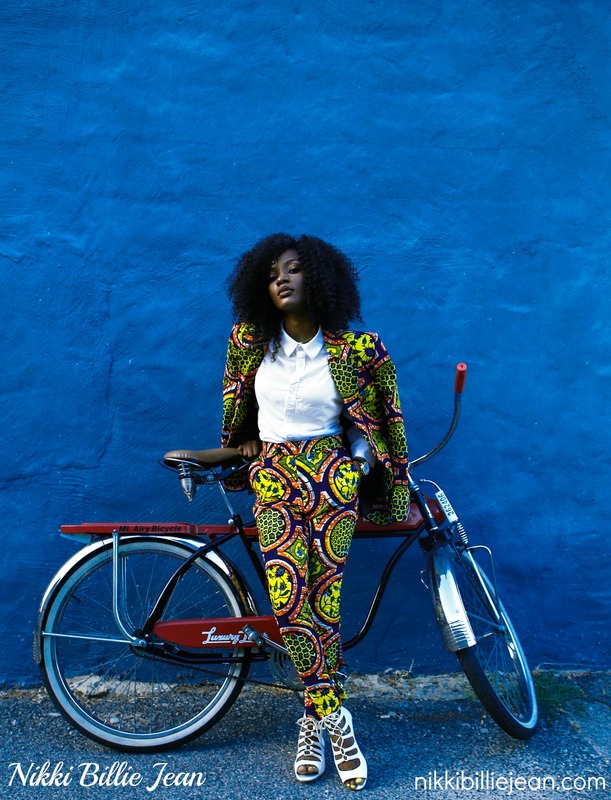 Solange refers to the work of Italian photographer Daniele Tamagni in his book Gentleman of Bacongo on the Sapeurs in Brazzaville, Congo as an inspiration for the styling of her “Losing You” music video. 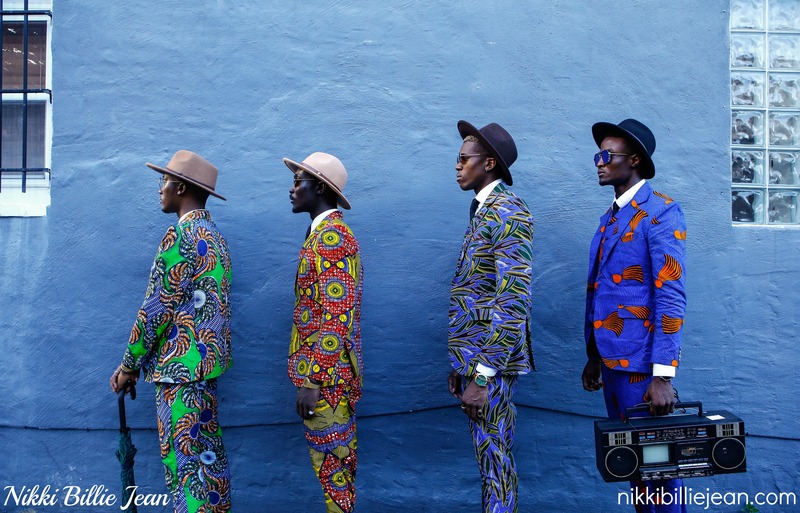 The concept was inspired by the band of dandyish and hyper-sharp sapeurs and Solange in her “Losing You” music video shot in Cape Town, South Africa. 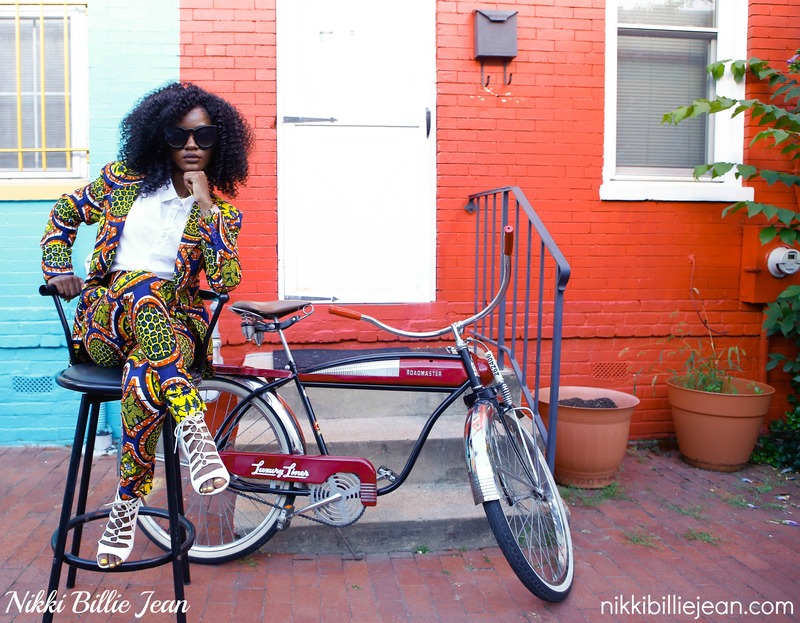 Style is a form of worship. 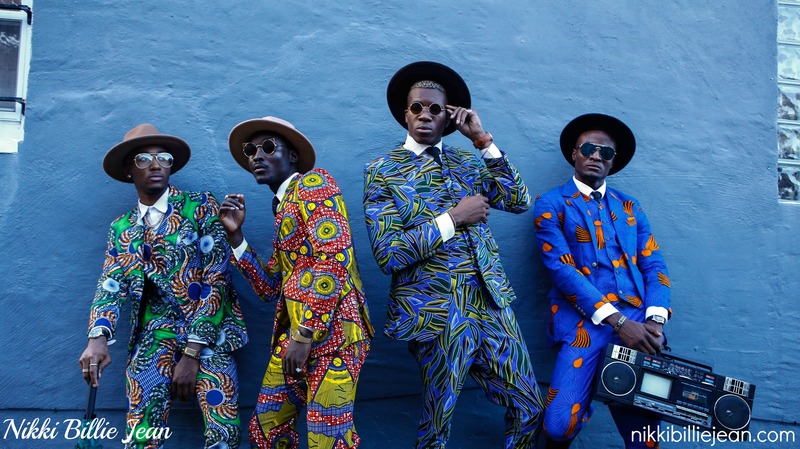 Elegance is a way of praise, and fashion is a religion for the Congo dandies, otherwise known as the “sapeurs”. 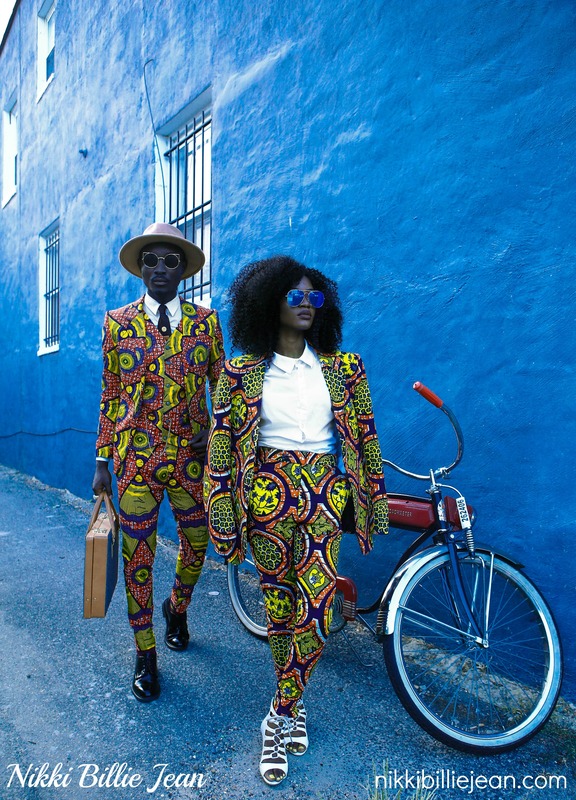 In Congolese slang, ”la sape” means La Societe des Ambianceurs et Personnes Elegantes, or The Society of Atmosphere Setters and Elegant People. 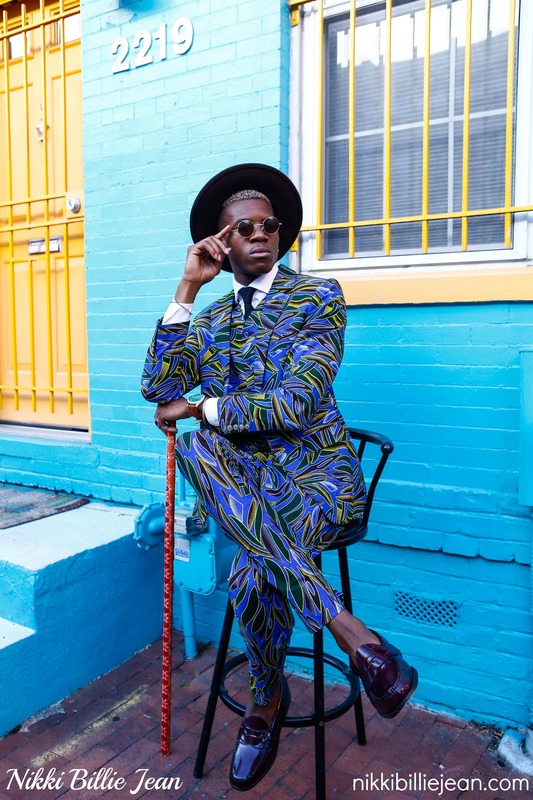 The Sapeurs, are a society of men who have turned the art of dressing into a cultural statement with the foundation of having style, grace, etiquette and impeccable manners. Within their local communities, where nearly half of the people live in poverty, they are a source of inspiration and positivity. 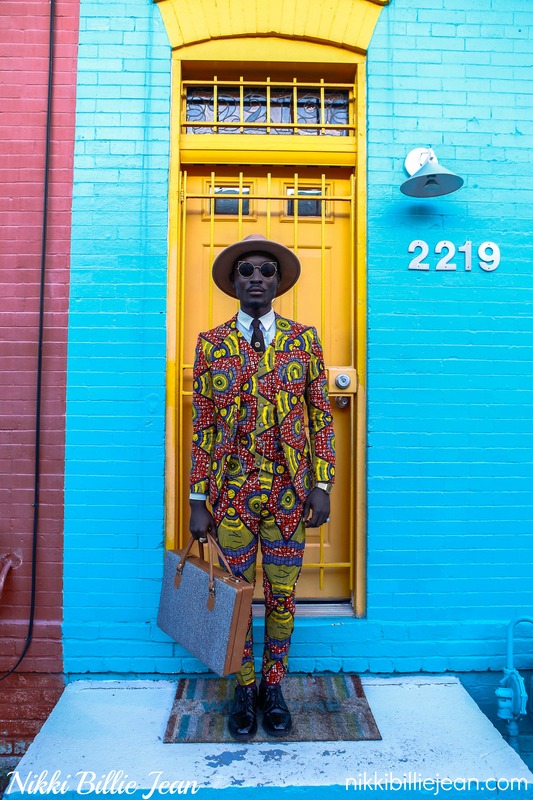 When a well-dressed Sapeur walks down the street, people “forget their problems”. 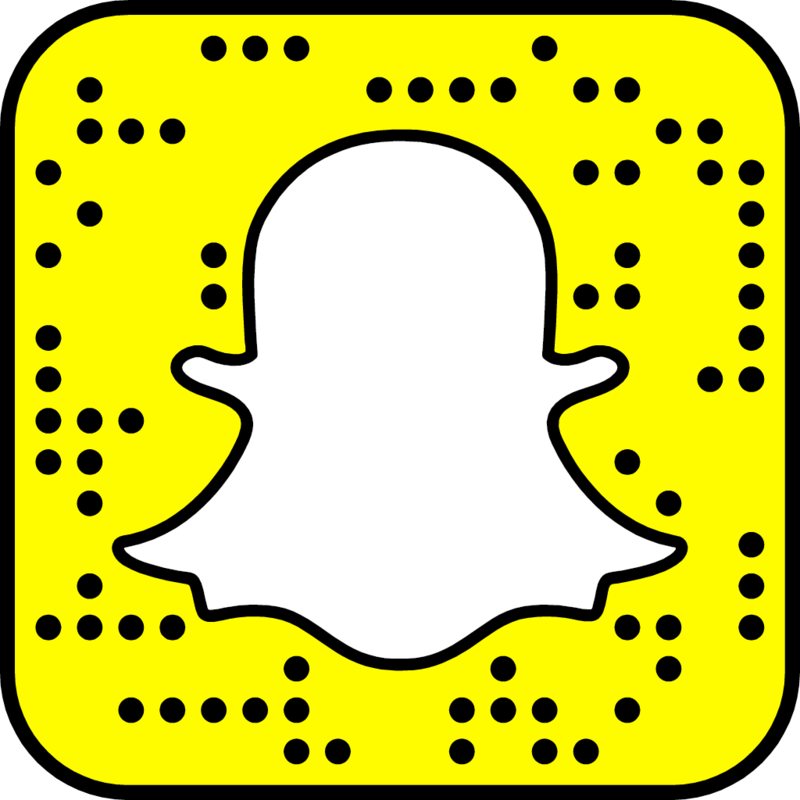 View the behind the scenes here.